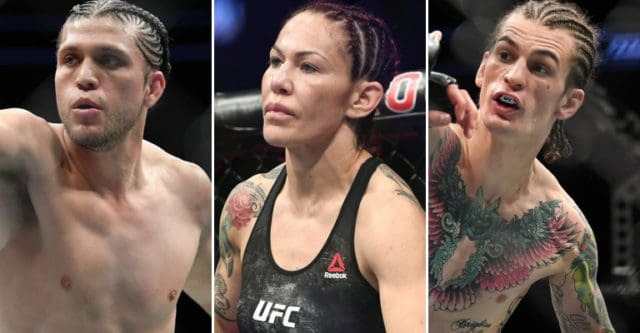 UFC 222 last night (March 3, 2018) from Las Vegas, Nev., had a little bit of everything. 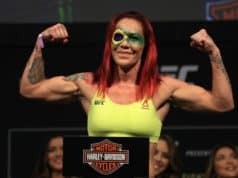 From young prospects upsetting established veterans to a dominant performance by the women’s featherweight champion, Saturday night was a barnburner. 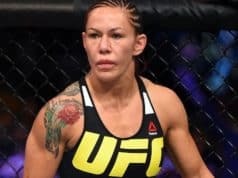 Brian Ortega did the unthinkable by becoming the first man to finish Frankie Edgar in his entire career, Cyborg proved why there’s only one fight that makes sense for her, and surging newcomer Sean O’Malley showed some serious heart after appearing to break his leg against Andre Soukhamthath. Arlovski keeps plugging along in the heavyweight division, and now he’s riding a two-fight win streak after defeating Stefan Struve on the main card of UFC 222. While both men offered tepid performances, Arlovski still won, so he lives to see another day within the Octagon. He’s had a rough go with the top of the division, but it’s a shallow one. Still, he’s on a two-fight win streak, so a fight with the winner of March 17’s Fabricio Werdum vs. Alexander Volkov main event in London makes sense for the former champion. Werdum, a former champion himself, or Volkov, who beat Struve by knockout in his last fight, is the best possible match-up for Arlovski at this stage of his career. Werdum or Volkov gets the chance to add another big name to their list of vanquished enemies, or Arlovski wins and begins another improbable win streak. Either way, it’s the fight to make.